5 Delicious Breakfast Recipes To Try This August! We’ve put together 5 of our favourite August breakfast recipes to make sure you stay on track, smash your weight-loss goals and kick-start each day with a filling and nutritious meal! 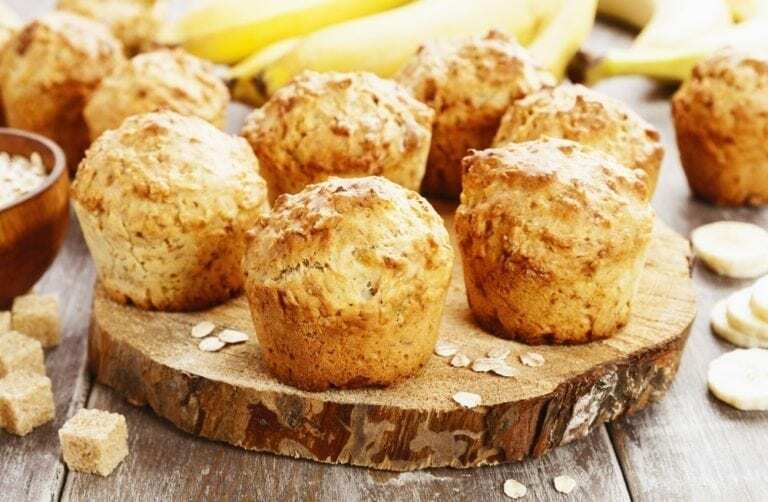 Set yourself up for a successful month by planning ahead and making a batch of these yummy Breakfast Banana Muffins. Double up the recipe and pop them in the freezer. Ideal for those busy mornings when you’re rushing out the door! Preheat your oven to 200 °C/Gas mark 6. Mash the bananas into a large bowl or food processor, until smooth. In a smaller bowl, beat the eggs. And add to the bowl with the bananas. Sieve in the flour, bicarbonate of soda and baking powder, adding in the honey, cinnamon, oats, and yogurt. Mix all of the ingredients well, adding a drop of skimmed milk if you feel the mixture is too dense. Spoon into muffin cases in a muffin tray and bake for 20 minutes, until risen and golden brown. Serve with low-fat yogurt and berries. 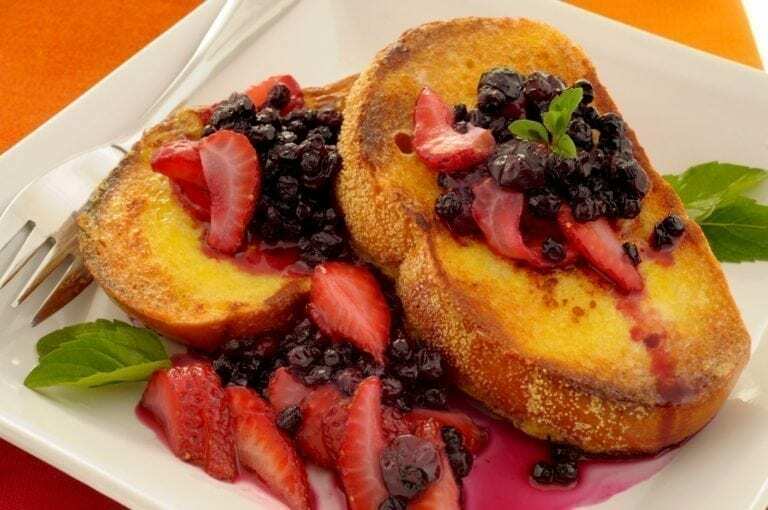 Change up your mornings with Cinnamon French Toast and Berry Compote! Perfect for a quick & easy brekkie or as a tasty weekend brunch, the kids will love it too! Heat 2 tablespoons of cold water in a small saucepan. Add berries and bring mixture to the boil. Cook for 3 minutes or until mixture thickens slightly. Remove from heat. Mix together the eggs, milk, vanilla, and cinnamon. Dip both sides of the bread slices into the mixture, making sure each slice is coated evenly. Heat oil on pan before placing the slices on and cook for 2 to 3 minutes on each side until golden brown. Hitting the gym or off for a morning run? 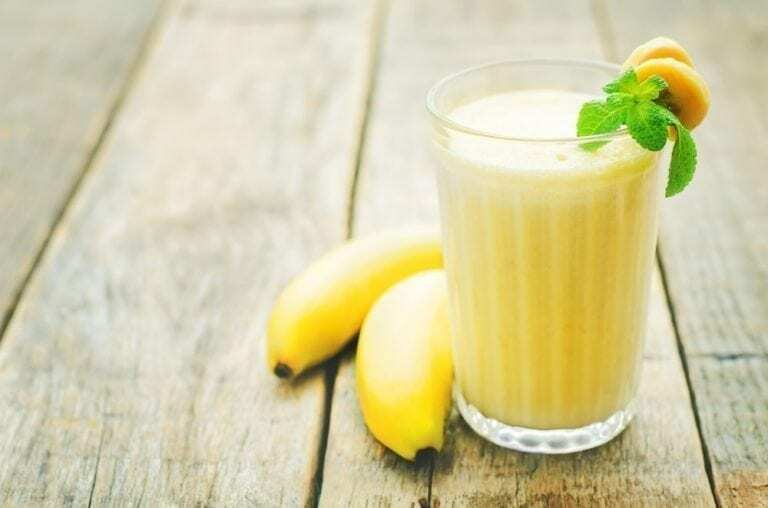 Blitz up this delicious fruity smoothie, perfect for a healthy breakfast on the go. Cut the mango down the side, then peel and cut the flesh into chunks. Peel the banana and chop. Put all of the ingredients into a food processor and blend until they are smooth. Start your day the right way with this wholesome meal. This tasty breakfast is sure to keep you full for hours and keep any unwanted cravings at bay. 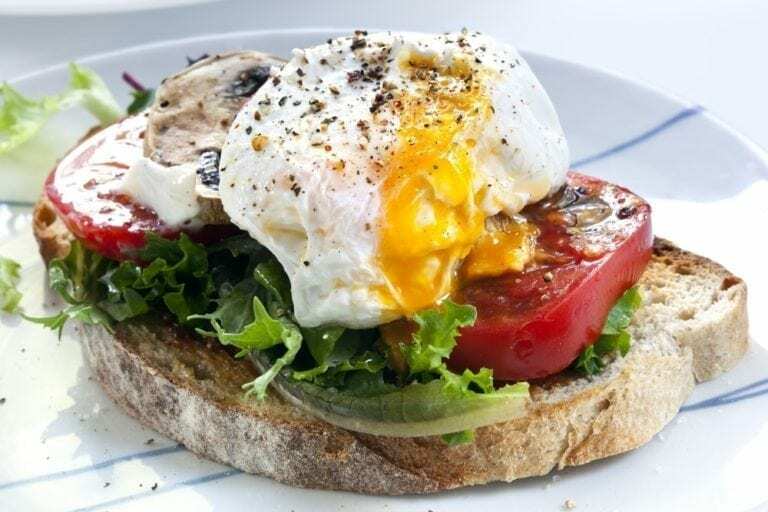 Ready in under 10 minutes and it’s FREE on plan…egg-cellent! Lightly spray a large non-stick frying pan with oil and set over a low to medium heat. Add the mushrooms and tomatoes, cook for about 4- 5 minutes until they are tender and start to brown. Remove and keep warm. Meanwhile, bring a small saucepan of water to the boil, reduce the heat and gently break the eggs into the hot water. Cover the pan and cook gently over the lowest possible heat for about 3–4 minutes until the whites are set but the yolks are still runny. Remove with a slotted spoon and drain on kitchen paper. 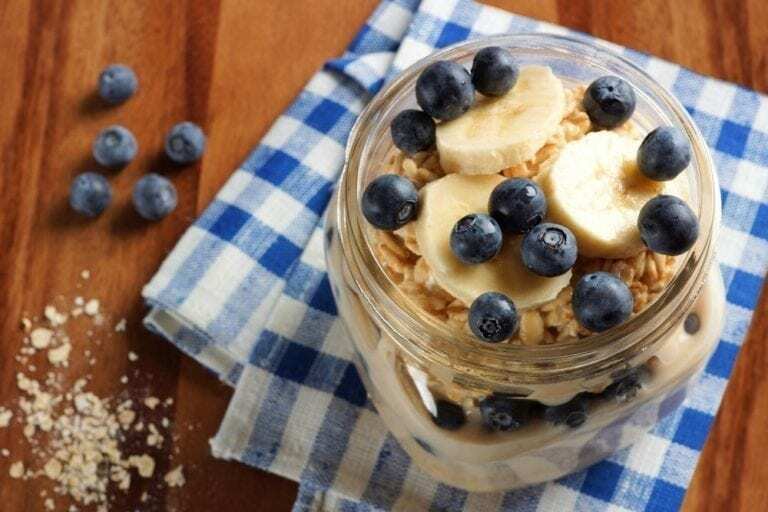 This fabulous Overnight Oats recipe is a Unislim fave! Another great time-saving breakfast, get creative and change it up by adding different fruit each time. Haven’t tried it yet? Add it to your to-do list this August. Mix the oats and milk together then layer the porridge oats, yogurt, and fruit in a jar and leave in the fridge overnight. Want something more filling? Add an additional 30g of oats.